Biomass burning continues in South Africa in this Moderate Resolution Imaging Spectroradiometer (MODIS) image taken on August 28, 2003 by the Aqua satellite. Fire is an important part of farming and grazing practices across the world. 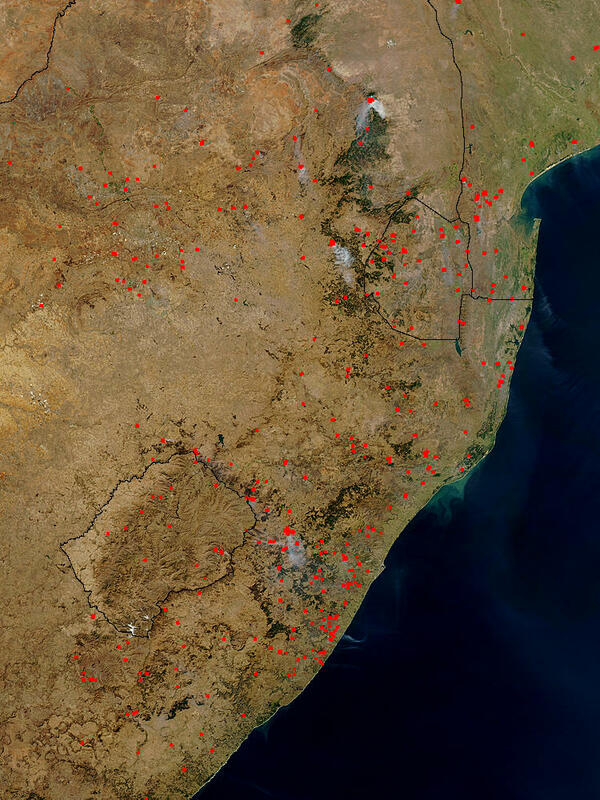 Such fires, shown here as red dots, are common throughout the summer months in the southern regions of the African continent. Shown here are South Africa (left), Mozambique (top right), Swaziland (center right), and Lesotho, an enclave of South Africa.